How to Download Windows 10 ISO & create a bootable Windows 10 DVD installation media. This tutorial contains detailed instructions on how to download a Windows 10 ISO file legally from Microsoft's website in order to create a Windows 10 installation DVD media, using Microsoft's media creation tool. A bootable Windows 10 installation DVD can be used to perform a clean installation of Windows 10 or to repair a Windows 10 based computer. How to download Windows 10 ISO & Create a bootable Windows 10 DVD using MCT. Step 1. Download Media Creation Tool (MCT). 1. 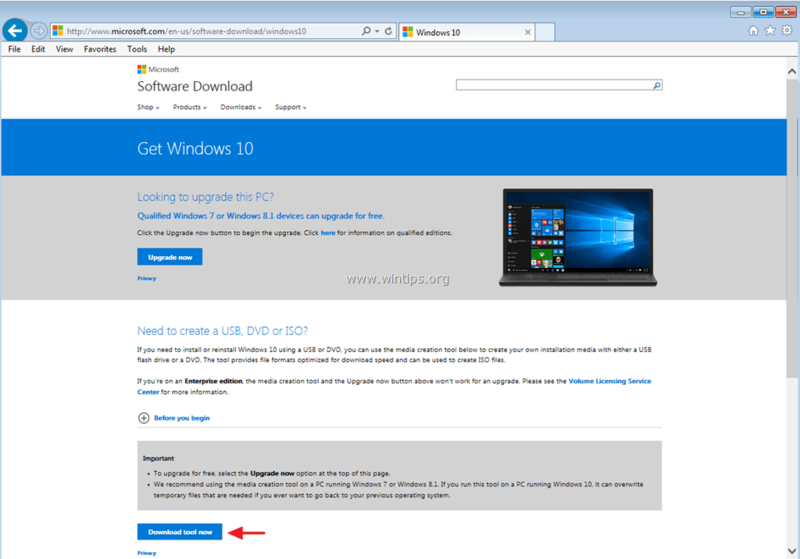 Navigate to Get Windows 10 Download site & choose the Download tool now button. Step 2. 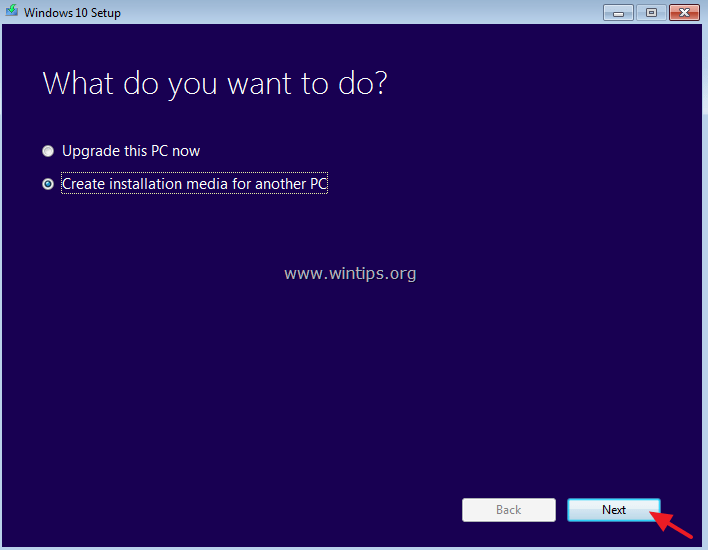 Use Media Creation Tool to Upgrade or Download Windows 10. 2. At the next screen* choose Create Installation media for another PC & press Next. In order to perform a clean installation of Windows 10, you must own a valid Windows 10 product key to activate Windows. If you bought a pre-installed Windows 10 computer (on which the OS was pre-installed from the computer manufacturer), then the product key is stored in BIOS and it 'll be retrieved automatically (from BIOS) during Windows installation. If you’re currently running Windows 8.1 or Windows 7 SP1 (already activated), and you want to upgrade your computer to Windows 10* select "Upgrade this PC now" at the next screen & then follow the onscreen instruction to upgrade your OS to Windows 10. 3. Choose the Windows 10 Edition* that you want to download and click Next. If you want to install Windows 10 on the current PC, leave the Use the recommended options for this PC box checked. At this case the Media Creation Tool will create a Windows 10 installation disk with the same language, edition, and architecture as the current PC. ** For Windows 10 as selected edition: This option can install both the Home and Pro edition (according to your product key). 4. Make sure that you have selected the correct installation media to create and press OK.
By selecting ISO file, you will be able to store Windows 10 on your computer for later usage or to burn a bootable Windows 10 DVD after Windows 10 ISO download is completed. If you want to create a Windows 10 USB installation media select USB flash drive and then follow the instructions on this post: How to create a bootable Windows 10 USB disk. 6. Choose the destination location (where the ISO file will be saved/stored) & press Save. How to burn (create) a DVD or CD from an ISO image file. How to create a bootable Windows 10 USB Disk from a Windows 10 ISO file.